Non-Indo-European religious particularities of Zoroastrian religion originate from the BMAC-circle religion. Therefore, the connection Zoroastrians of Iran with the BMAC is expected. I don't know much about Zoroastrianism. I've read a lot of conflicting information about its origins. Interestingly, though, I read that Zoroastrians may have originally come from northern Afghanistan, and Bustan_BA, which really improves their model, is from a site in Uzbekistan very close to the Afghan border. They also get good fits with Dzharkutan1_BA and Sappali_Tepe_BA, which are from the same region. But they also really need Steppe_MLBA in their models as well. Zoroastrians mainly live in two cites of Kerman and Yazd. There is no evidence of different population histories of Zoroastrians and Muslim Persians except long term isolation and small population size of Zoroastrians. I think there are two persian samples from Kerman in EGDP dataset. You can use them to see whether these results are something regional or Zoroastrian-specific. Its been game over for OIT for some time now. Now AIT is dead too. Long live WTF! Now AIT is dead too. I've added the two Kerman Iranians from the EGDP to the list of models above. They do show a fair bit of steppe ancestry, but they can't be modeled like the Zoroastrians, at least not like the Zoroastrians that I've got. They need an unusual amount of Ganj_Dareh_N for their models to work, and don't do very well at all when it's taken out and replaced by anything from BMAC. There is ZERO evidence for an invasion - neither archaeological or genetic. You saw the data from the Narasimhan study - a real paucity of R1a to justify an invasion. Clear migration no doubt, but calling it an invasion is just jokes at this point. Not to mention lack of fires, etc at the IVC sites. Its clear now that there was migration of people carrying partial steppe ancestry after an acculturation process in the BMAC region. So it's hard to detect Western_Siberia_HG in most Iranian populations today? But is it detectable in more Northerly related populations? Tajiks? Ossetians? What about descendants of proto-Balto-Slavs? West_Siberia_N isn't directly relevant for anyone outside of Siberia. It's just that it approximates forager ancestry native to Central and South Asia for which there are no other closer reference samples. But even in Central and South Asia, it seems that AfontovaGora3 does a better job of this. In Eastern Europe we already have a good number of forager populations sampled, so West_Siberia_N isn't relevant, except maybe for Uralic and former Uralic-speakers in far Northeastern Europe and near the Volga. There is ZERO evidence for an invasion - neither archaeological or genetic. " There's 100% evidence of invasion, both archaeological and genetic. If you do not understand genetics, if you do not understand the culture and archeology, it is better to write nothing. THE INVASION THEORY IS COMPLETELY PROVEN. Problem only that those who write otherwise, do not understand Indian culture, don't understand anything about archaeology, and fantasize that supposedly ought to be, while already aware of what is expected. Read those themes. It is notable that Iran lacks the strict caste exogamy of India, suggesting that this was not something with an Indo-European source, which makes sense given that the early Indo-Iranians were notoriously exogamous themselves. It would be interesting to estimate to what extent and from when Zoroastrians in Iran were endogamous. The Kermanis and some Zoroastrians/Fars most probably have ancestry from Shahr-i-Sokhta like groups, like Shahr-i-Sokhta_BA1(They were heavily Iran neolithic like anyways). Do Sappali tepe outlier, Parkhai LBA outlier and Dzharkutan2_BA produce good fits? Bustan BA is basically Iran/Turkmen neolithic with a dose of Steppe(5-7%) according to the paper. Iranians Zoroastrians are nothing special Y-DNA/mtDNA wise. Identical to other Iranians. The only major difference is that they are extremely inbred and isolated. They managed to preserve their faith by living in desert cities like Kerman and Yazd. Basically centralized muslim governments throughout Iranian history had little to no interest into fully controlling these cities and converting the locals. Indian/Pakistani Zoroastrians AKA Parsis are a different story. They left right after or during the early stages of Muslim invasions, and many sources claim that they were Sassanid troops who refused to surrender to the Muslims(Or accept Islam). Keep in mind that Sassanid Iran was not fully Zoroastrian. Zoroastrianism was closely linked and promoted by the Sassanid royal families, which led to many local/inter conflicts with popular religions in Iran (at the time) such as Christianity, Manichaeism and Buddhism. Religions like Manichaeism were even popular in Iran/Central Asia long after the initial Muslim invasions! Any non Zoroastrian religion was crushed by the Sassanid empire, which probably led its' eventual demise. An invasion implies a large scale and rather sudden aggressive/military movement of peoples who violently take over the new territories. Can anyone post any archaeological sources that actually prove that the IE movements into the Indian subcontinent were an invasion rather than just a migration that happened over a larger time frame? Because I'm really skeptical of movie-like historical conquests this early in time, particularly if these changes happen after a civilisations' collapse had already started, as was the case with IVC. Origins of Zorastrian are from Gonur Tepe Turkmenistan. check the papers of Russian archaeologist Viktor Sarianidi. @André de Vasconcelos... sometimes invasions leave no archaeological trace. During the fall of Rome, we find no burning down of cities and yet we know the Germanics took control of the Italian peninsula. I can understand why Islam brought in foreign geneflow for Arab Muslims but not Persian Muslims. Persians Muslims should be the same as pre-Muslim Persians. I admit I don't know anything about history. My gut reaction is conversation to a religion doesn't bring in foreign genes but Arabization does. Should be able to get some indications how much Arab admixture, Arab Eyptians & Palestinains have using ancient Egyptian and Caanite genomes. Well the fall of Rome was not a simple military invasion, the deteoration of Western Rome was in part caused by large scale migration of 'barbarians' into Imperial territory, especially with their incorporation in the army (besides economic deteration, political corruption, etc). The whole thing was so weakened it reached a point it could not stop desperate, sometimes starving, hordes of barbarians from entering and settling in their territories. Even when it comes to Rome I'm on the fence calling it an invasion rather than migration. The line is thin, so anyone clearly claiming to be one of the other gets my serious skepticism. Invasion and migration are the same. These are just different stylistic terms to give expression. The militancy of the Aryans is described in the Vedas, is described in Epic, there is described the capture of their individual objects. Genetic data just confirmed it. The Dasyus were not Aryans, because the data samples are the Dasyus or Shudras. Anthropologically and in the burial ritual they represent the former population. Indo-Aryans at that time were cremated, which is well known. The influence of the steppe on a clear Dasa, but that doesn't men the Aryans as they are not R1a. Now, if they would have been R1a, it would mean that the Dasyus were Aryans would be that much, it would be questionable, since it is known that the Aryans did not replacing the local population (of the Dasyus). You're absolutely right. By the end, it was Germanics fighting on both sides. Stilicho was Vandal, and Aetius was Sarmatian. Many cultures have preserved strong traditions of internecine warfare and endemic feuds, and they rarely coordinate an invasion. They're pushed into a new setting where their fighting abilities give them an advantage. What's the cutoff in 1240k SNPs for what you you can use for Global25? DA119 had 541006 SNPs = 45.14% of the 1240k list, and you added it. The BAM covers 2.1 Gigabases. I've already extracted all samples with total bases down to about 2.6 Gb, which is just under 50% of the 1240k SNPs. I can do the others down to 2 Gb, if you think that having about 45% of the SNPs is also usable. But I think it's also be possible that the west Indus_Periphery samples have a slight level of BMAC related admixture compared to the Rakhigarhi eastern IVC sample. The Indus_Periphery are already exaggerated beyond Iran_N on a Natufian->Iran_N cline ( lesser Basal Eurasian+WHG, greater ANE/"West Siberian"). So if the Rakhigarhi's ancestry is very slightly more >ANE than Indus_P, then that could have some slight effects on the South Asian cline for people who are more likely to retain ancestry from Rakhigarhi. Basically heavily ASI people, since ASI in theory are supposed to be from an admixture of people from the eastern edge of the IVC who pioneered into South India and mixed a lot of AASI. That might help explain some of the strange deviation where some of the most heavily ASI populations in Narasimhan's paper seem to be akin to North Indian Brahmins in a preference for extra Steppe ancestry relative to Indus_P ancestry. There's no precise cutoff, it depends on the individual file, whether it produces stable results or not. Very generally speaking, files below 40% start producing wobbly results. But anyway, I'll probably get all of these genomes when the paper is published, and then run them all at once. I can understand why Islam brought in foreign geneflow for Arab Muslims but not Persian Muslims. Persians Muslims should be the same as pre-Muslim Persians. Gene flow from outside of Iran isn't the only potential issue here. What often happens when ethnic groups stay isolated is that they're not part of the same demographic processes within countries, like massive internal migrations, that might, for instance, homogenize the more mainstream populations. So let's say that Zoroastrian Persia showed deep genetic substructures, with some populations having a lot of pre-Turkic Central Asian ancestry, and others practically none. If the Islamic conquest resulted in a relative homogenization of much of the Islamic population of Iran, and the Zoroastrians weren't part of this process, then it might show in their genetic structure, and I think it does. "During the fall of Rome, we find no burning down of cities and yet we know the Germanics took control of the Italian peninsula." The Vandals looted & burned Rome. There are Gothic cemeteries throughout north Italy. "Invasion and migration are the same. " In the English language, they define different qualities. A trickle of migrants impart different impact to invasion & conquest. (3) opportunistic forays of bands of warriors. These aimed to loot the countryside and retreat, and if interecepted by Roman armies, were usually soundly defeated even in the late stages of the Empire. Very seldom did they succeed in establishing control south of the border (eg the executions of Alatheus and Saphrax) - but a few did vandals/ Suevi. (5) consistent infiltration of Gallic wing of ROman army by Franks. Why wait till the paper comes out? That could be months from now. Anyway, all the BAM files are already in the ENA. You won't need to do the extraction and conversion for these below, because it's done already. The filtering is what worked to remove the noise (QUAL=10), the number of SNPs are all above 45% (most are much higher), and the SNP names are exactly the same as those in the Reich Lab set. Zoroastrians in question may represent a Brahmin-like group in the sense of preserving their descent from the ancient priestly castes of the Iranian plateau(who would have ultimately arrived from the late BMAC/Yaz horizon area?). It's hard to believe that steppe ancestry DECREASED in Western Iran during the Islamic period or that the region's masses had steppe ancestry exceeding 15% during Achaemenid and Sassanid times in the first place. More importantly, we can't be sure wheter that meager steppe ancestry would have derived from primarily from the Yaz horizon(i.e. Iranic) or trans-Caucasus R1b associated migrants. Even if contacts with Iraq were substantial(yes, Western Iran is actually called Persian Iraq) during Sunni and Shi'a eras alike, so were contacts with Greater Khurasan, the cradle of New Persian culture and, tbf, Islamdom at large. Strangely, the Zoroastrian national myth claims that their deep ancestors were 'white people' who came from a 'cold place'. The paper's coming in about two weeks. I gotta find it and show it to Dave. Even if the paper is coming out in two weeks, there might be time to find some things that they may have to correct. That's why they put the BAM files out early. It's 100% legitimate to analyze data already made public. You could make a post asking people to run nMonte now on these samples for the next two weeks before it comes out. I bet someone is Willerslev's lab is reading this, or will read that post ... I think they'll take into consideration what we'll find here. In either case, seems like BMAC related ancestry would shift vectors away from using Steppe_MLBA_West for rest of ancestry because of more Anatolian related input in BMAC than InPe? I agree that we could be looking at a potential artifact/pseudo BMAC effect here, but it still takes BMAC even when offered a more pristine source of Iran_N(sans ASI). So, I can't be too sure at this point, but it wouldn't surprise me one bit if the invading wave consisted of more BMAC and, in turn, resulted in higher population turnover than just 18% (w/respect to Brahmins). Was modeling various Turks, and, surprisingly enough, they aren't a straight mix of Sintashta and ENA, but carry BMAC-related ancestry: Uighurs, Kazakhs, Uzbeks, and the medieval Karluk alike. ~50-50 West-East Eurasian. Turkmens in the datasheet are an exception in deviating from this ratio, probably because they are a mixture of Turkic newcomers and (assimilated) Tajiks/Khwarezmians. I'll have to find models for Sarmatians and Western Scythians, but, iirc, they also get some "southern urban dweller" input. How do we suppose this kind of ancestry traveled northward? I highly doubt a "BMAC migration into Andronovo" scenario. Instead, I envision a hybrid steppe-BMAC nucleus) forming around the Oxus(much like in EBA Europe) and subsequently expanding-----northwards and southwards. Here are the models for Uighurs(DA 45 and 28 are ancient ENA samples). One thing to mention is that Sintashta and Andronovo are separated from the Medieval Turkic ethnogenesis by almost 2 millennia. The direct vector of Steppe MLBA ancestry is probably from Sarmatians and Scythians, which might cause the Tungusic like and East Asian Agriculturalist like ancestry to decline a bit. Just a suggestion. "How do we suppose this kind of ancestry traveled northward? I highly doubt a "BMAC migration into Andronovo" scenario. Instead, I envision a hybrid steppe-BMAC nucleus) forming around the Oxus(much like in EBA Europe) and subsequently expanding-----northwards and southwards." Oops. Cleaning spam and removed a couple of posts by mistake. Sorry. Added Sarazm, overfitted but shows Iran_N-rich source is needed. Continuing with the same source populations, Yukaghir_Forest is basically 50/50 Yukaghir and Russian, contrasting superficially similar Kets (outliers excluded) and other Western Siberians which also lack Scythian and Andronovo in these fits. @Rob said... Quite funny. The Vandals looted & burned Rome. There are Gothic cemeteries throughout north Italy. Etc, etc. Yes, quite funny since you ignored the context. We know Rome was looted and burned because it was written down, not because we find archaeological evidence of it. Since when do people say that the Vandals burned Rome? Maybe a church or two was burned, but mostly they just looted valuables and defaced buildings. Or maybe I'm just misremembering my history classes. Rome was sacked in 410 CE by the Visighots of Alaric. it was a major event not just for the level of destruction but for the fact that it was the first storming of the city from a foreign army since the gallic looting of 390 BC. It was so shocking that this event inspired Saint Augustine in writing his masterpiece The City of God. Zoroastrians are 16% steppe and other Iranians are around 5%-15% steppe? Iranian_Jew seem to be most similar to Hajji_Firuz_ChL at 88%. Do you have any info about this new data? And now the lombard aDNA Study demonstrated the presence of Northern Europeans, relatively unadmixed in some individuals in northern Italy. I guess one day similar evidence might surface from the Indus Valley , indeed of an indo -Iranian horizon c 2000-1500 BC throughout SCA. Nope, don't know what he's referring to. The situation in the Western Roman Empire was incredibly complex. There were Barbarian invasions, raids, and violence. However, there were processes of migration and assimilation as well. I've heard a good deal about the Vandal and Gothic sacks of Rome. Both were undoubtedly destructive (we know of captives and enslavement under the Vandal sack) but most of Rome's destruction came from locals hacking down abandoned buildings for quicklime or building materials. Ravenna was already the centre of wealth and power in the WRE, and most of the leading families of Rome would have already settled in Constantinople and taken their lootables with them. Despite exaggerations in the accounts, Rome wouldn't have yielded much in plunder compared the other mentioned cities. Declining Empires are always going to be violent places. Powerful families fight one another, non-governmental groups take power through brute force, and others (barbarians) get drawn in. In this situation it is as common to find barbarian fighting barbarian as to find barbarians fighting the imperial remnant. If you want to drill down to Rome, the Battle of the Catalaunian Fields consisted of almost entirely Barbarian Armies. Aetius was of barbarian ancestry, and most of this "Roman Army" was made up of barbarian troops. It doesn't take a planned or concerted invasion to see how one group can wind up in power by fighting others of their "own kind." When mentioning the supposed pattern of "invasion," one must be mindful of the facts. The Goths that sacked Rome and carved out a Gallo-Hispanic state were originally let in as refugees, before they revolted after what would be classified as race rioting today. Roman accounts point to recently enslaves Germans opening up the gates for Alaric. Despite this, up until 450, Majorian was able to push them back and may have chanced to revive the WRE, had it not been for Ricimer's order of assassination (himself a Germanic in Roman service) One sees that some Barbarians certainly invaded, others migrated, and some were actually let in. In that sense there are ample examples of barbarians settling in the Empire, as Laeti, from an early period, and causing trouble, though the Empire was stronger then. Cassiu Cio records Germanic settlers revolting and seizing Ravenna, though Marcus Aurelius was able to defeat them. In the end, it was the internal weakness of the Empire. This still dwarfs in comparison to the Foederati that would dominate the WRE. In the end, Romulus Augustus was deposed by one of his own Germanic subordinates when his father couldn't pay them what they demanded. I don't doubt this was the case with post-IVC South Asia. The Rig Veda described a society describes a society that is warlike, but this doesn't mean a concerted or planned invasion. Warrior societies can spend all their time feuding, raiding, and battling each other. The main enemy, the Dasyus/Dasas, cannot be attached to South Asia with any certainty - Daha and Dahae refers to a central Asian tribe in Iranian languages. The best explanation that fits the evidence most parsimoniously is that the Indo-Aryans were better adapted for survival and fighting, both economically and culturally, and that they won out in the chaos and turbulence of post-IVC South Asia. On that same note, the figure of Ayyanar maybe a euhemeristically interpreted as an Indo-Aryan warrior on the Dravidian side. He is a local deity that guards a given territory, and is often depicted as a mounted warrior, or one beside his horse. It would not surprise me if this was a deification of Indo-Aryan warriors who took the local side. I hope that future archaeological studies, or maybe even the discovery of some texts, will yield some answers. I very much doubt that the Aryan migration resulted in any sociopolitical change as dramatic and as spectacular as the Roman collapse. For one thing, the remnants of the IVC were in an extremely degraded state by the time the IAr arrived. The settlement density of the post-Harrappan phase is more than tenfold lower than that of the Mature Harrappan or even the late Harrappan and and the average settlement size was equal to or lower than the settlement size of the the middle Neolithic in the Indus, indicating that the people were leading at most a village-level lifestyle across much of the area. The climate was so altered that many cities of the mature Harrappan fall in the Thar desert today, and the IVC remnants saw wheat farming replaced by millets and barleys (much less productive), which cannot fail to be an extremely traumatic process in terms of cultural dislocation and malthusian effects. Compared to the prior cosmopolitanism and social specialisation and bulk trade regulated by standardised weights and measures, we probably got a lot of 'cultural involution' going on in an exhausted and mostly rural population. So the IAr migration would have small-scale groups interacting with other small-scale groups. No big operatic dramas. The fact that the hitherto forested Gangetic plains were only opened up for rice farming with IAr groups in the Iron Age must also account for some of the spread of the intrusive ancestry, i.e. at least part of it was due to mass movements and demographic change instead of conquest. Far more likely that 'Indra as destroyer of forts' represents a distant cultural memory of events in Central and West Asia, which were probably much more dramatic than events in S Asia itself, because unlike in S Asia there were significant political entities in CW and SC Asia to contend with at the time. Aaaah just noticed ur post. Seems we might be reaching limits of res here where its impossible to get all the real contributors to fit w/o overfitting. Looking at haplotype simulations of the "ancestry and demography and descendants of Iron Age Steppe" paper does clearly indicate the increased contrib of Eastern Scythians to Turks, West Scythians to Middle Eastern Iranics, and both to Tajiks, which makes me think that Sarmatian in Uyghur may be illusion from East Scythian+increased West Asian input (i.e. like the second fit with Sarazm_EN). You tried modelling Uyghur with Karluk? Supposedly direct descendants. Expecting input from Mongola, but otherwise v similar. ^^ West Scythians + Sarmatians to West Asian Iranics I mean. The best proxy for the Turks,imo, are the Tubalar>Altaian>Kyrgyz, they seem to form a path from Steppe_EMBA to Steppe_MLBA, no need to use Mongolians. They sure as hell pack some WestSiberia_HG as well, and Iron Age Sarmatian and Scythian ancestry too. Indo-Aryan migration happened 2000 years before the fall of WRE and really, there is no comparison between the two. "On that same note, the figure of Ayyanar maybe a euhemeristically interpreted as an Indo-Aryan warrior on the Dravidian side. He is a local deity that guards a given territory, and is often depicted as a mounted warrior, or one beside his horse." Interesting. Would love to read more on this. But I think we should be wary of strictly associating horses with IA alone. Innovations spread faster than people and I wouldn't be surprised if the horse reached South India independent of Aryan warriors. Yunusbaev et al found as much, but these groups are themselves the result of admixture between prior groups, probably Scythian/Sarmatian+West Asian, and some kind of ancestry on the East Asian side. Will be interesting if the paper itself uses rare alleles or haplotypes to distinguish input between the Mongolian-like "Buryat" genome vs the Tungusic and Tibeto-Han ones into the Turkic groups. Chinese sources place the early, pre-Steppic pre-proto-Turks ("Tiele", "Gaoche", "Dingling" and so on) North of Lake Baikal close to the forests from 300BC, so the Baikal HGs may be important for the Turks. They also place pre-proto-Mongols in Inner Mongolia south of the Steppe ("Donghu") who are known since 700BC or so, Tungusics North of Korea close to Sino-Russian border, i.e. "Mohe" from 100AD or so (makes sense since Tungusic Ulchi show genetic continuity from Devil's gate in that area), with Huns/Xiongnu more of a mystery and of unclear derivation, though at least one city-state at the edges of Zhou China appears to have connections with Hunnic ruling groups later on. I notice David has done a fit for Huns with Dali EBA (~40%) and Scythian ZevakinoChilikta (~40%) and a little bit of West Eurasian from Sarazm and others, which is very interesting as the most popular theory of Xiongnu ethnic origin proposes that at least one part of the core group (not the federates in the confederation) was Yeniseian-speaking (Ket are almost 50% West Siberia N), while Dali_EBA are almost as West_Siberia_N as well. Looking at the Karluk, which lists heavily towards Uzbek and Turkmen in addition to Uyghur (i.e. lists toward the more East Asian and less Siberian plus more West Asian and less European Turks at the Southern edges of the Steppe, without that much West Siberia N) there was probably quite a bit of structure and variation in the population quite quickly after the Turkic expansion. E.g. the Uzbek and Turkmen and especially Uyghur don't have that much West Siberia N at all, compared to e.g. Karakalpaks, or Shors/Khakhass/Tubalar in Siberia who have outright ancestry from Samoyeds and other Uralics. While I appreciate your interest in South Asian history, it would be nice if you did a little homework before coming up with your theories. The people of the Indus civilization were already using a variety of millets, pulses and rice before the urban phase even began i.e. pre-3000 BC. Moreover, considering the early evidence of rice cultivation/exploitation at such sites as Lahuradewa and Jhusi, it is unlikely that the Gangetic plains was all forested. Keep this information in mind before you formulate any theory on South Asian history. At present your knowledge is woefully out of consonance with facts. David, could you add DA171, Y N-L1025, to your Global 25? It would be interesting from the point of view of relations between Uralic and IE. Not sure, coverage is low. I'll check tomorrow after I do a new run. Okunevo: 1xR1b1a2-M269, 1x Q1a3-M346, 1xQ1a3a-L54 and 3x N1c-B187 "Khakass line". My presumption is that pre-Proto-Turkic could very well trace it roots to the Okunevo culture/ people interacting with it. I don't disagree, but there are two other elements that add to it. Aiyaṉār is the Old Tamil pronunciation Aryan-man, and his shrines are still decorated with statues of his flock of horses. Added to that is the practice of votive terracotta horses being left at his shrine. It isn't so much that he is a man on a horse as he is a warrior identified as "Arya" that defends the locals and is portrayed with multiple equines. It wouldn't be the first time in history that someone "went native." William Dalrymple, who has taken the time to study a number of Indian languages, has found that a surprisingly high number of early East India Company officials "went native" and married local women, adopted the local religion, and settled into Indian life. The same may have happened in less disrupted areas of India. "Far more likely that 'Indra as destroyer of forts' represents a distant cultural memory of events in Central and West Asia, which were probably much more dramatic than events in S Asia itself, because unlike in S Asia there were significant political entities in CW and SC Asia to contend with at the time." Curiously, the BMAC seem to have been 'abandoned' with little in the way of destructions. The royals and khans ( to use an anachronistic term) who controlled the BMAC chiefdoms based their power on their access to and control of wealth (gold, silver, lapis lazuli). If this was no longer possible, then the basis of their power dissolved and perhaps shifted to those which primarily procured it. The post-BMAC individuals (Sumbar and Bustan LBA) don;t show any evidence of steppe admixture. Bustan is basical Gonur _1 BA and Sumbar is 80% Gonur + 20 % extra Armenian plateau. The nature of the interactions between Andronovo and BMAC are now well described. It seems to have been occasional, non-institutionalised exchanges around exchange of products and discussing territories. With the decline of BMAC, they seem to have ended. "Indo-Aryan migration happened 2000 years before the fall of WRE and really, there is no comparison between the two." I'm sure everyone here knows that. Comparisons are certainly worthwhile as the Germanic migrations into the Roman Empire are a classic example of the elite conquest. But you're certainly correct, the 2 scenarios don't match because parallel evidence does not exist for SCA and SA. @Rob In the case of prehistory, inference is evidence. We have a steppe "kurgan culture" connecting vast parts of Eurasia in the Bronze Age, and this also happens to be the commonly accepted time period for the breaking-up and dispersal of Late PIE. Coincidence much? @aniasi Thanks. I though the Aiya = Arya connection dates from the period of arrival of Brahmins. But yes I agree it could be much older. "Rob In the case of prehistory, inference is evidence. We have a steppe "kurgan culture" connecting vast parts of Eurasia in the Bronze Age, and this also happens to be the commonly accepted time period for the breaking-up and dispersal of Late PIE. Coincidence much?" @Rob From Andronovo --> Indus region. Vagheesh et al already hinted at it and the upcoming Indus paper will probably establish it beyond all doubt. The question of late PIE is already settled, Rob. The only question that remains is if there was a previous Caucasian homeland. Stupas? They may be the last remnant of a Kurgan culture that survived due to Buddhism's relative confessional unity. Or, they may have been older sites repurposed to house Buddhist relics. We know most of them were earth tumuli bricked over and modified by Asoka, and we simply assume that they were originally all Buddhist sites. Ah so Buddhist stupas of Central and eastern India are Kurgans now... that too after the iVedic and post Vedic literature never mentions such tumuli. I didn't say that. What is apparent, however, is that they were originally earth based tumuli that were either repurposed or redesigned. Vedic literature barely covers funeral rites beyond two prayers. One is that of cremation, and the other is burial for children. There is a third reference that only mentions ancestors both cremated and uncremated. That's some real detail there. The Vedas do not encompass all IA beliefs, especially since they continually mention other IA tribes that don't worship correctly. What I've said is entirely in accord with the archaeological mainstream. "At Farmana, compared to early levels a dramatic decrease in both ubiquity (from 61% to 20%) and seed density (1.5% to 0.7%) in wheat in the later Harappan period has been documented. The study also indicates increasing dependence on summer crops like millet and has been inferred as a direct consequence of lesser rainfall80. Such pattern have also been found elsewhere in Indus valley where the Harappans shifted their crop patterns from the large-grained cereals like wheat and barley during the early part of intensified monsoon to drought-resistant species of small millets and rice in the later part of declining monsoon and thereby changed their subsistence strategy16,81. Because these later crops generally have much lower yield, the organized large storage system of mature Harappan period was abandoned giving rise to smaller more individual household based crop processing and storage system and could act as catalyst for the de-urbanisation of the Harappan civilization rather than an abrupt collapse as suggested by many workers82,83,84,85. Our study suggests possibility of a direct connect between climate, agriculture and subsistence pattern during the Harappan civilization." If they switched their subsistence strategy from one crop to another, this implies that they knew the other crop beforehand. Can you add the other medieval Karluk sample (DA230) to your Global 25 datasheets? His GEDmatch ID is Z710694, his results look similar to those of the other medieval Karluk sample (DA222, GEDmatch: Z342597). Also can you add the Karakhanid sample DA204 to your Global 25 datasheets? His GEDmatch ID is Z637314. He is similar to the Karluk samples and especially to DA222 in having a 50-50 East and West Eurasian ancestries, and similar to the Karluk samples in the proportions of East Eurasian sub-components but differs from them by having a more northern variety of West Eurasian ancestry. Similarities between Dashly-3 and Arkaim. Sintashta metal being traded with Bmac from inception. No Western origin and development of Sintashta-like settlements and economy. Later Scythians show BMAC ancestry. Were non- Aryan Iranians most likely related to the Dasa-Turanians mentioned in Iranian literature. Their Southern Elites would have taken part in the BMAC settled economy. Zoroaster converted Daha and Turanians into his religion. This could be where the higher steppe impact in Zoroastrians comes from. After the BMAC decline the economy moves Westward into the Yaz culture. This is mirrored by a similar move Westward by the Iranian Daha elite and hence we see BMAC related ancestry in later Scythians. It is telling that the Steppe peoples do not take-over or destroy the BMAC settlements when in decline. Rather, they move West to continue to take part in the settled economy, from the outside, as always. There is a long history of mutual-cooperation between Steppe peoples and BMAC and later with Persians and Scythians. Steppe nomads do not benefit from destroying settled farming communities and imposing their way of life. Infact, it is the surplus production of settled communities that make them so attractive to nomads. Farming yields more than pastoralism in fertile lands. Steppe societies have always been considered culturally inferior to settled ones for this very reason. They have nothing to contribute to developed urban communities. 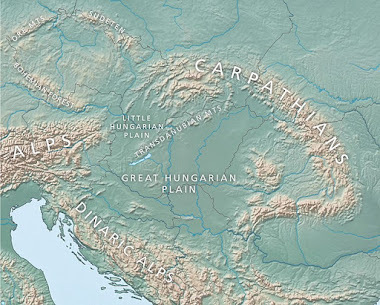 Kurgan Steppe culture is a dead-end, linguistically, culturally and religiously. They have no living IE descendant cultures or languages. Kurgan people's are not PIE, LPIE or even pre-Iranian. They are just a dead branch of Iranian left out of the history of meaningful IE societies. there is elaborate description of funerary rites in post vedic literature. None of them suggest kurgans or elite burials and grave goods. these are alien customs. Moreover funerary customs don't correlate with language. All a mixture of Steppe MBA, 'eastern', and post-BMAC Turan. - significant Caucasus - Balkan ancestry in the 'Cimmerian' from IR Hungary. Brahmana and Aranyaka post-vedic or Puranic post-vedic? As the effective "ritual and prayer" rubrics of the Rig Veda, it is notable that neither the Aitareya nor Kausitaki Brahmanas deal with funeral rituals, despite their antiquity. The Shatapatha Brahmana (of the Yajur Veda) does cover funerals, and it distinctly mentions a grave-mound, with the body prepared on the surface facing north, and said "Smasana" being a house and monument, to be built like a fire-altar with four corners. The fire altar of the Agnicayana is built through a process of pilling up the bricks, which means that the the grave resembled a tumulus/grave-mound/kurgan. Interestingly the same Brahmana mentions that ideally the kurgan should be square, since easterners and worshippers of the old Gods make theirs round. If you are talking about the Puranas, most of them post-date Buddhism, contradict the Shrauta canon, and are largely creative innovations with little foundation in the Vedic period. As we are talking about the pre-Buddhist period, we should discount them thoroughly. When do you think Brahmins arrived in the South? I'll post my models when I get to my computer later, but, yeah, your Chilikta and Pazryk pretty much mirror mine w/regards to low Adronovo preference and high Tungustic+Siberian preference. Also note the elevated BMAC-like stuff in the Tien Shan Hun I was referring to in my comment about Turkics above. Oh, I know. It's still a relatively robust population in that it contributed or at least wasn't far removed from steppe_MLBA peoples who ended up massively contributing to Iron Age Sarmatian and Scythians. The European analogy would be the massive overlap with and relative interchangeability between some Bell Beakers and Iron Age Germanics. When I sub in Pokrovka and AldyBel(the others aren't very good sources of Steppe_MLBA as I mention in my comment to Rob above), it does dampen the East Asian signal somewhat but there is still extra ENA and West_Asian. I'll post these either today or tomorrow. RE/WestAsian---My other theory about this in Turkics is the possible (formative) influence of some BMAC-ENA agriculturalist hybrid groups around the Tien Shan, as opposed to just from Iran_N/Chl-rich Iranic nomads refluxing northwards. Yeah, I notice this in Tatars, too, but some of this is probably stemming from their Turkic admixture, which might comprise ~30-40% of their ancestry based on ENA numbers in the 15-20% ballpark. The Samara Scythian doesn't have enough West_Asian or ENA to cover this. Btw, I'm sure they derive a big chunk of their ancestry from such Scythian groups and I was always curious how big, but Slavic admixture seems to be interfering/overlapping with their Scytho-Sarmatian ancestry, compliating attempts to extricate these two streams. Though, tbf, Bustan and Sumbar are both located in the south-Western quadrant of Central Asia. The formative horizon (with 50-50 Steppe_MLBA/West_Asian people being a staple?) about which I and RK speculate was probably around south Uzbekistan and/or Khwarizm. Sogdia is highly esteemed in the Avesta. Yeah, "mainstream" Sassanid era Zoroastrianism was firmly established in the Western regions of the realm like Fars and Azerbaijan. The eastern parts of the realm were split between Sogdian versions of Zoroastrianism and Buddhism. The Barmakids, highly influential in Abbasid court, were of Buddhist extraction, for ex. The high eastern ancestry in many Scythian's is not surprising. The Arzhan barrow is deemed to be the earliest articulation of Scythian culture ("Scythian triad"). Further west at the same time is still 'pre-Scythian' (Chernogorovka) culture. There's an excellent research article on this which I will highly recommend. Your suggestion of ENA+Iran_N is very exotic and interesting. Looking closely at the Narasimhan paper, there is a profusion of outliers associated with the BMAC, some of which fit better with Iran_N + Han than with Iran_N + Onge + West Siberia N. For better differentiation Global25 fits may work. Also for correction purposes the point estimate for ENA in West_Siberia_N is only 10% and EHG is at 36%. This certainly fulfils the criteria for the very EHG-ANE population with ENA at or less than 10% that may represent HGs of Volosovo that may be pre-proto Uralics. Will do some fits with these and Saami during the weekend. Indeed, West Siberia N is from Tyumen in Russia. Have an internet trophy. Bet you gave the researchers a hearty chuckle. Age or Copper Age Iranians. Anyone familiar with S India can comment on this? 5129 (consistent with excess ancestry from Indus_Periphery-related groups). The authors measure deviations from the ANI-ASI cline in the direction of excess Steppe and excess Indus Valley, and find that Brahmin groups have much excess Steppe in a very nice plot neatly reflecting what was known from f4 stat plots from some time ago on this blog, but excess Indus is pretty unexpected. Any special status uniting the following castes? Mostly middling or even forward castes in the South thats for sure. Thanks, that is really interesting! Exactly. These may have been the castes most reflective of the actual Dravidian migration. "Any special status uniting the following castes? Mostly middling or even forward castes in the South thats for sure." That's correct. "Coorghi" is the anglicised term for Kodava people who are the dominant ethnic group among the speakers of Kodava language of Coorg (anglicisation of Kodagu). Wikipedia says that "traditionally they were land-owning agriculturists with martial customs." Kodava is a language that belongs to the Pre-Tamil group (Proto-Tamil-Malayalam-Irula-Toda-Kota-Kurumba-Kodagu). kApu was originally a generic Telugu term for 'cultivator', 'farmer' (http://dsal.uchicago.edu/dictionaries/burrow/ entry 1456), though it now refers to a specific caste which traditionally practised agriculture. The etymologically closely-related word kApuram is used to refer to 'dwelling', 'married life', etc. in Telugu. paNTa means 'crop' (paNTa <-- paNTTay <-- paZnttay <-- PDr. *paZu-ntt-ay; root *paZ has to do with 'to ripen'; DEDR entry 4004). So apparently, paNTakApu means a 'crop farmer'- there may have developed other types of perhaps "farmers" doing something else- I'm not aware. Vysya are the south Indian (Telugu?) equivalent of north Indian third varna- these are the same Vysya of the 2009 paper (single admixture in 4200 BC one). They have a seemingly native name in Telugu called kOmaTi, though the etymology is unclear. They (used to?) have titles like Setti, ceTTi (Tamil Nadu) derived from Sanskrit SreShThin, a word for 'businessman', I think. They seem to have had some connections to Jainism in the remote past (am not aware of details) and they also had some clashes with sections of Telugu Brahmins in the recent history (during British period) when they attempted to introduce a sacred thread phenomenon into their caste based on the north Indian model (? do the Vaishya people of north India have them?) which the sections of Telugu Brahmins opposed. They have it now, I think. nAyuDu is an intimate telugisation (somewhat rare in Telugu if a word's of pure Sanskrit origins as opposed to some kind of Prakrit/Pali origins) of Sanskrit nAyaka, 'leader'. Grammatically, nAyuDu is a male who 'leads'. It is typically a title belonging to the Kapu caste and some sections of Kamma caste (another agriculturist caste, mainly found in Krishna and Guntur districts where they don't use this word either as caste name or as title), as far as I know. reDDi is a similar Telugu traditional agriculturist caste now though it appears it originally meant something as generic as 'village headman' in Telugu and the etymology is not very particularly clear. DEDR entry 54 speculatively connects it with Sanskrit rASTrin (the first part of rASTrakUTA) from which north Indian titles like rAThI derive more unambiguously. The word is anyhow not likely to be of Dravidian origin. gauDa is a Kannada word whose etymology is not clear (people derive it from medieval Kannada title gAmuNDa (whose etymology is unclear also but likely to have had some sort of Sanskrit connection), 'village head' or some such type of official, some derive it from Sanskrit go- 'cow', etc. etc.) and is apparently used as a caste title by Lingayats of north Karnataka and Okkaligas of south Karnataka, according to Wikipedia. okkaliga is originally the generic term in Kannada for 'cultivator, farmer' like its Telugu counterpart kApu (DEDR entry 925). There is a separate caste called Goud in Telugu regions also whose traditional occupation was apparently toddy-tapping according to Wikipedia. The earlier Telugu terms seem to have been gamaLLa and gavaNDla which seem quite close to the medieval Kannada word gAmuNDa (not sure of it though). kaLLar is the name of a Tamil caste whose etymology is not clear. Kinda popularly etymologised as derived from the word for 'thief', kaLLan. Another, rather plausible etymology is from the word for 'toddy', kaLLu. Apparently, "their history has included periods of banditry", according to Wikipedia. According to an anthropologist Susan Bayly, "[Kallar] was a title bestowed by Tamil poligars (warrior-chiefs) on pastoral peasants who acted as their armed retainers. ", as mentioned on Wikipedia. Anyway, I suggest taking a look at the Wikipedia page to capture all of the somewhat complex information about Kallar. For Nadars also, I suggest taking a look at the Wikipedia page, though it is apparent that "historically, most Nadars were cultivators of palmyra trees and jaggery and a few were also involved in the toddy trade." from Wikipedia. Also, importantly, it appears that Nadar is a new name for at least those subcastes connected with toddy tapping and apparently they were previously called Sanars (possibly connected with Malayalam Cannar) and changed the name to Nadar in the 1920s and apparently, there exists a subcaste called "Nadan" within the Nadar who call themselves "Real Nadar" and apparently were the land-owners for which the toddy-tapping Nadars worked. The Tamil word nATAn [nADAn] (plural nATAr [nADAr]) means 'one of the land' (nATu [nADu]- 'land', cf. Tamil Nadu; DEDR 3638). The etymology of the Tamil word cANAr [sANAr] is unclear- "A Comprehensive Tamil and English Dictionary" by Miron Winslow in the relevant entry on page 181 says that there is another word called cAnr̲Ar in Tamil to refer to 'toddy-tappers as a caste' which was perhaps the older form (that kind of a sound change from -nr̲- to -N- is not known to me though; perhaps some kinds of spoken Tamil had/have it). The Sanar themselves seem to have connected this cAnr̲Ar with the root *cAl- 'to be abundant', etc. and a derived usage in literary Tamil cAnr̲Or, 'the great, the noble' (DEDR 2470) but Miron Winslow dictionary connects it with another word cAr̲u (DEDR 2484) which majorly means 'juice', 'sap', 'pepper water', etc. and also takes a secondary meaning 'toddy'. There are apparently other borrowed terms from Sanskrit in Winslow dictionary such as cAli, (apparently from Sanskrit sAli, 'rice') which may be involved as well. It's quite unclear to me at this point and as per sound changes known to me, -nr̲- mainly results from the morphophonemic interaction of l- and -nt. So perhaps the last one is plausible. yAdava is a generic (?) name in Sanskrit for 'cow-herder' whose etymology is popularly 'descended from yadu', Yadu being the primordial paternal ancestor and also the name of a Vedic tribe, but the etymology of Yadu is not clear. Krishna, Balarama, etc. were the textbook Yadavas and I heard that many cow-herder or pastoralist southern castes began taking up this Sanskrit Yadava title pretty recently. Tamil muttaraiyar apparently means 'three kings' but I doubt it. It may be related to the word mutu [mudu], 'old' (DEDR 4954). araiyar is the plural of araiyan, 'king' derived from Sanskrit rAjan, 'king'. The etymology is unclear to me. There is also a Telugu caste called mudirAjulu, about who Wikipedia does not say much except that they are OBC. The Tamil muttaraiyar are apparently a "Tamil-speaking community of landowners. ", according to Wikipedia. I'll add most of the samples from this paper to the G25 when the paper is published and the full dataset is released.